Ease your skin, hair, and makeup look from summer to the next season with these must-have beauty tools. Summer's almost over, but that doesn't mean you should stay stuck in a rut of beach-friendly products. As we transition from bright summer days to wet, dreary rainy months, our makeup looks and hair and skin care gradually need to shift, too. Sun protection products remain necessary all year round, while there are makeup tricks we can keep and others to bid goodbye. While we can still inject pops of vibrant color into our makeup and nails to stand out at school or work (and to battle rainy day blues), the focus now shifts on keeping our hair and skin clear, healthy, and resilient, despite the sometimes drastic weather change that can cause damage. And, as we can no longer deny the whopping effects of global warming on our climate, saving the environment with eco-conscious products also becomes a priority. With the new school year just around the corner and stressful workloads piling up once again, there are tons of new beauty loot you gals can use to keep you pretty, healthy, happy, and earth-friendly this month and the next couple more. However you plan to spend the remainder of your summer, do so with your well-being (and that of nature) in mind. 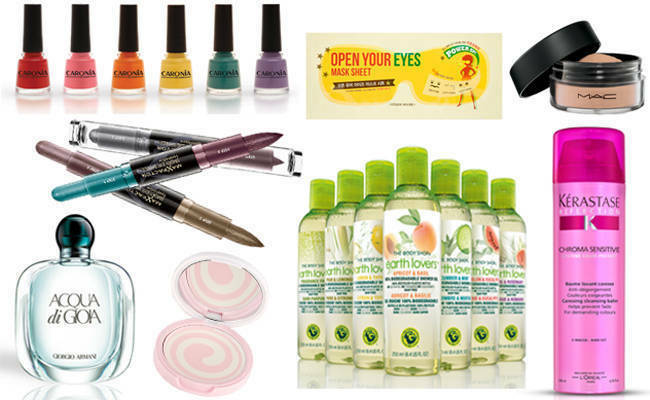 Take time out to pamper yourself with affordable products we share with you in our gallery.